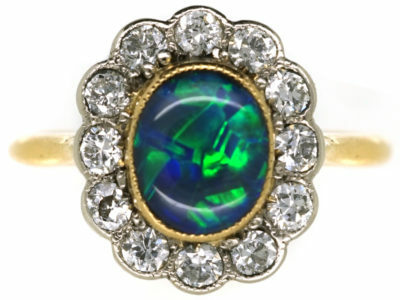 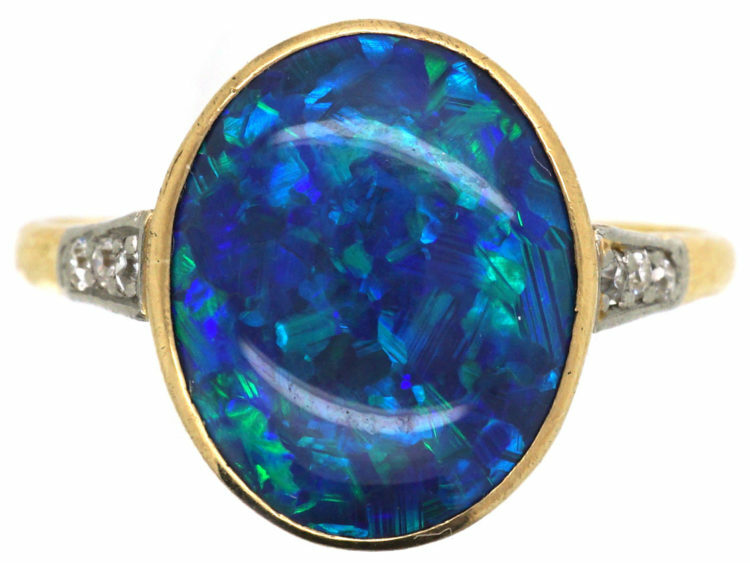 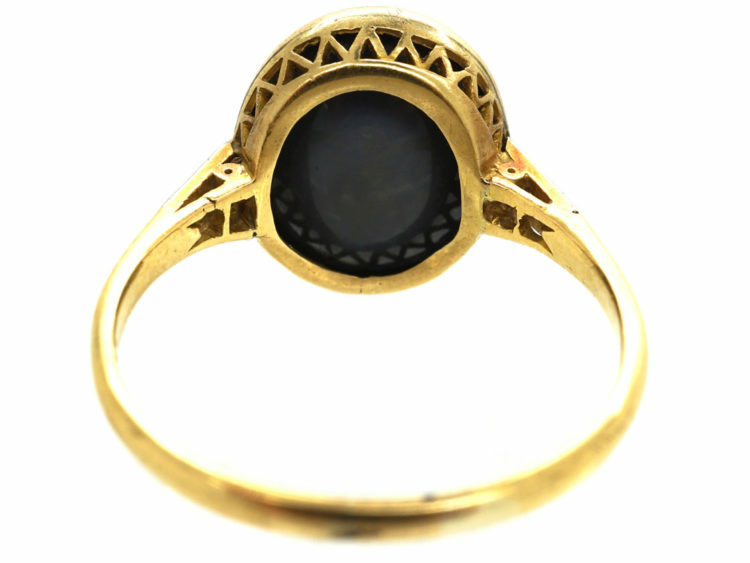 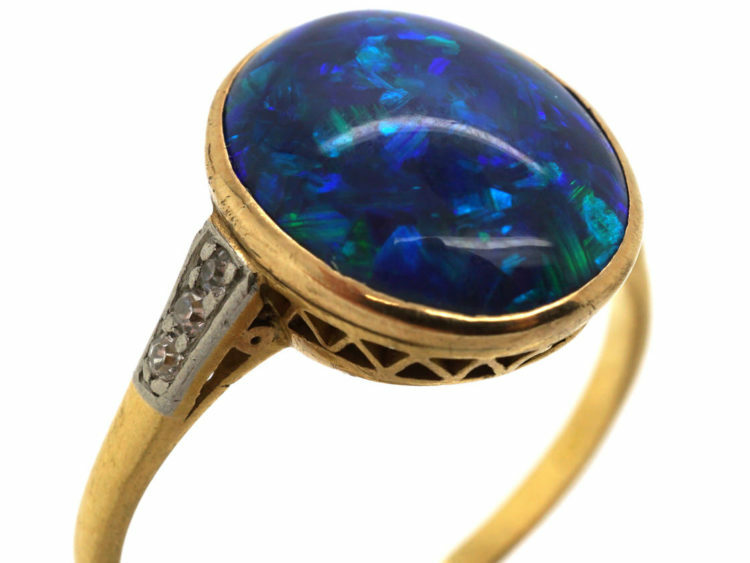 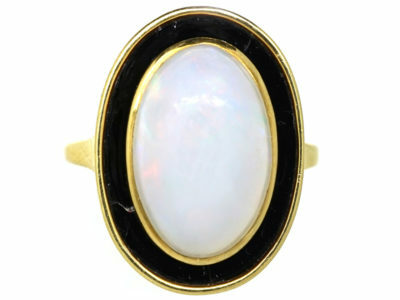 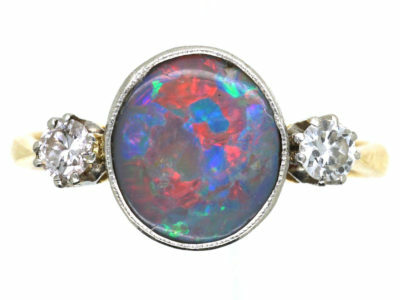 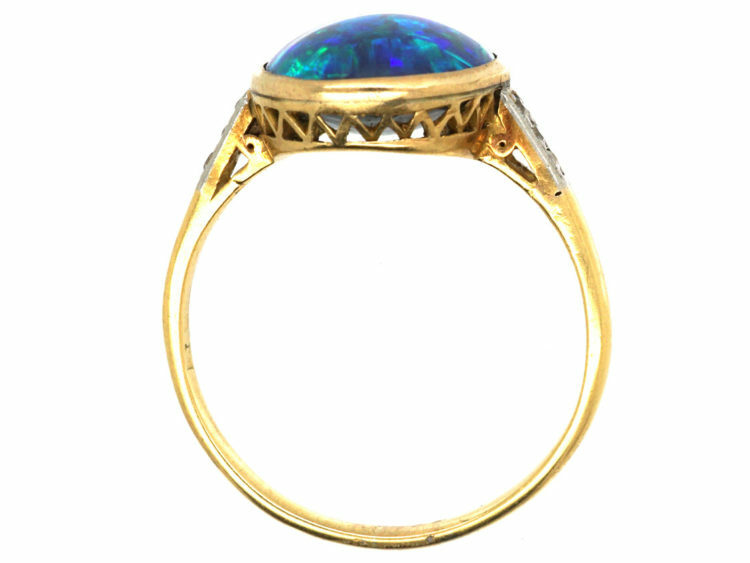 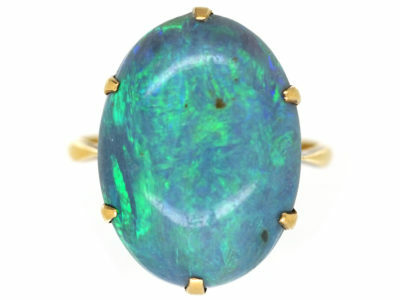 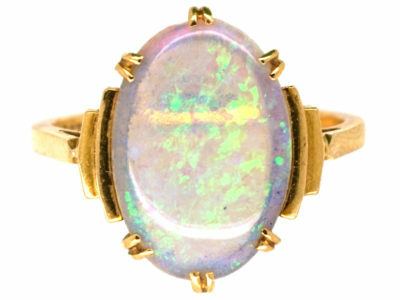 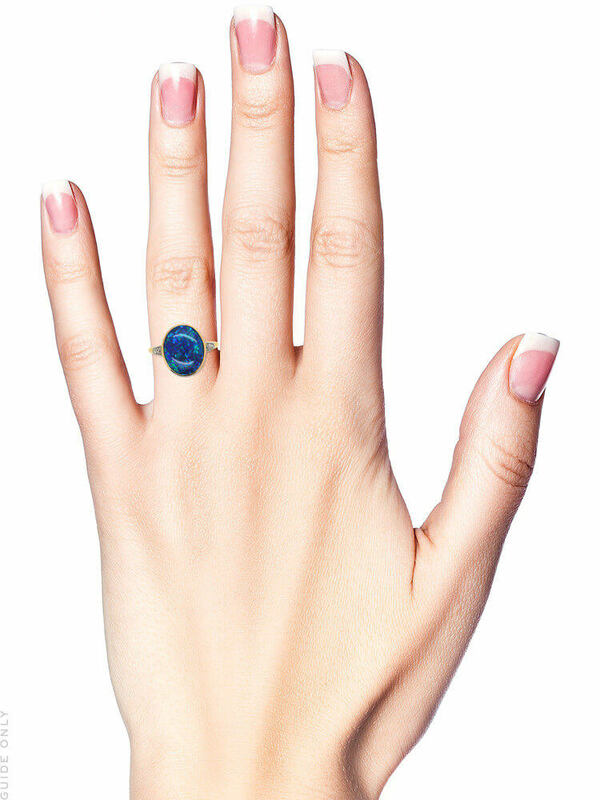 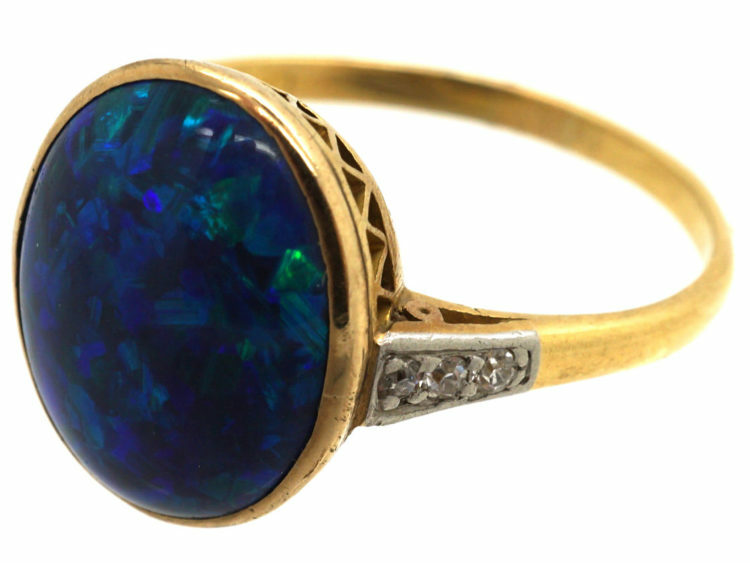 An Art Deco 18ct gold ring set with a top quality black opal. It displays stunning deep blue and green colours. 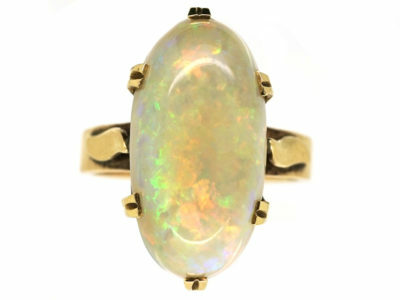 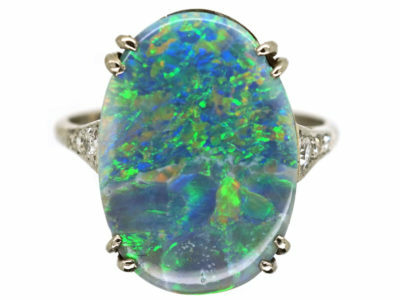 Black opals were sourced from Lighting Ridge in New South Wales, Australia. 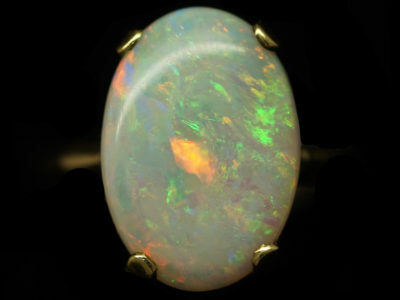 They are the most valuable of all the opals. 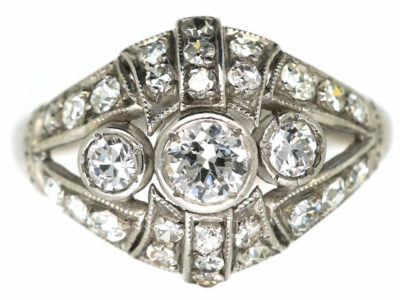 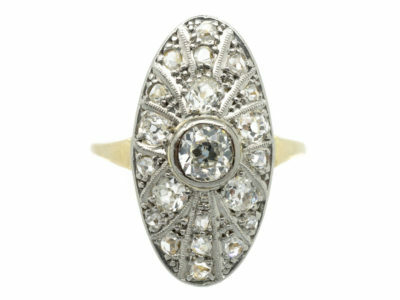 There three small diamonds on either side set in to the shank. 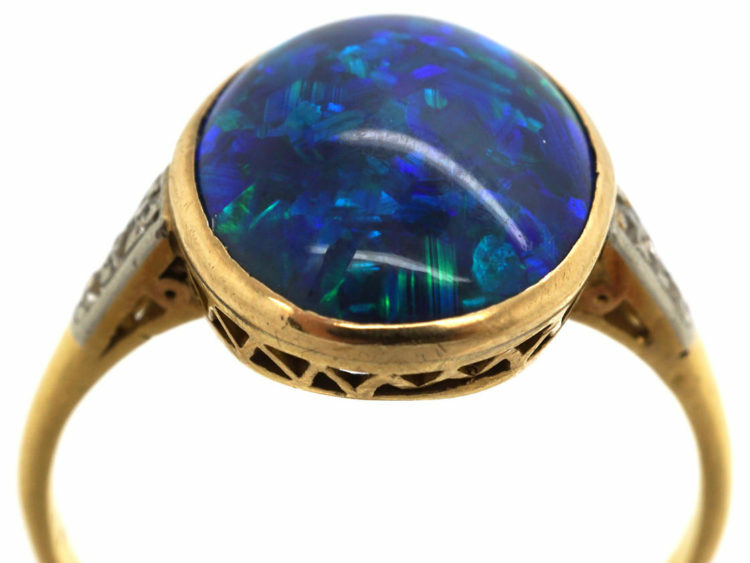 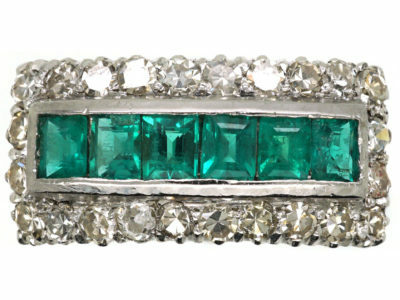 The ring is finely made and really beautiful. 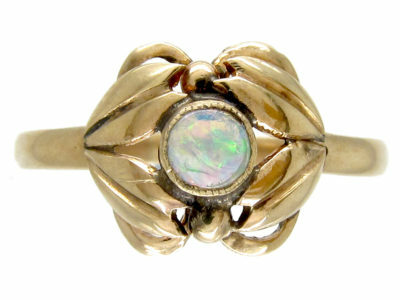 Hallmarks 18 (for 18ct gold) Maker's mark GT?